Are you ready for some football? It’s Sunday, playoff games are on, and my team is playing this afternoon! I love January because the playoffs are always so much fun to watch. 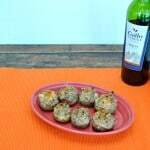 Every weekend I like to make some sort of game day snack to watch the games. This weekend is no exception. I’ve been thinking about chili all week but we just had some last weekend so I wanted to make something with chili in it. When I was at the grocery store I had the idea to make chili cheese dip. It seemed like a good idea but the more I thought about it the more I wanted to do something else. As I was throwing a can of Hormel® Chili without beans into my cart and idea started forming. What if I made something with the chili cheese dip? My wheels started turning and I started going up and down the aisles. I grabbed a pack of wontons thinking I could put the dip in the wontons to make chili cheese bites. I like the idea of being able to pick up my game day snack and move around with it. Then I grabbed a can of refried beans as I came up with my final idea. 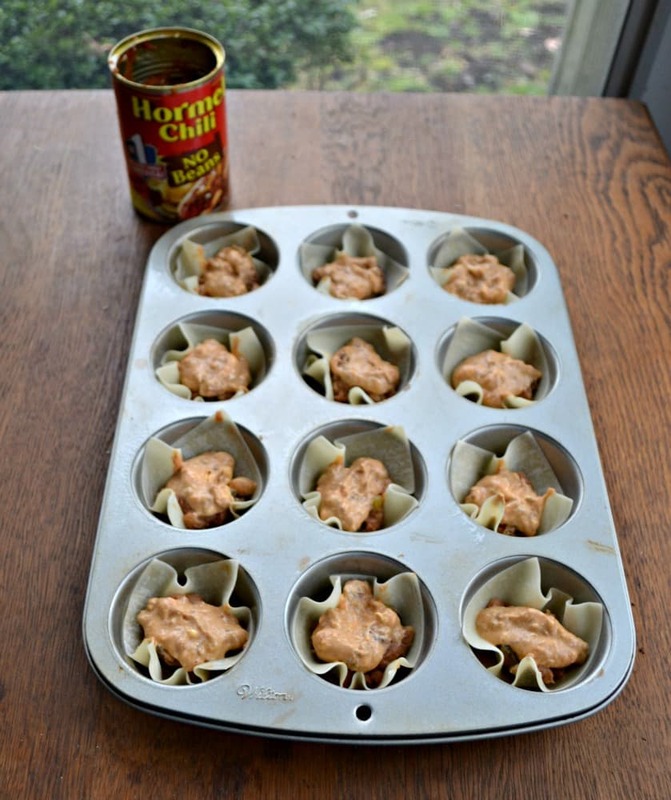 I started making Chili Cheese Bean Dip Cups. 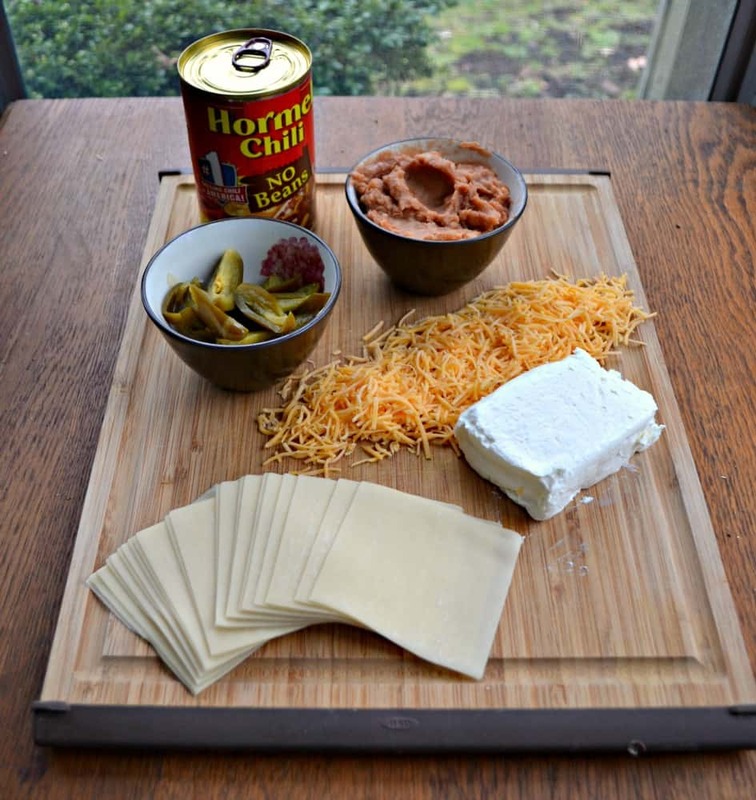 The idea was to whip up an easy bean dip with refried beans and jalapenos then whip up chili cheese dip using cream cheese and Hormel® Chili without beans. 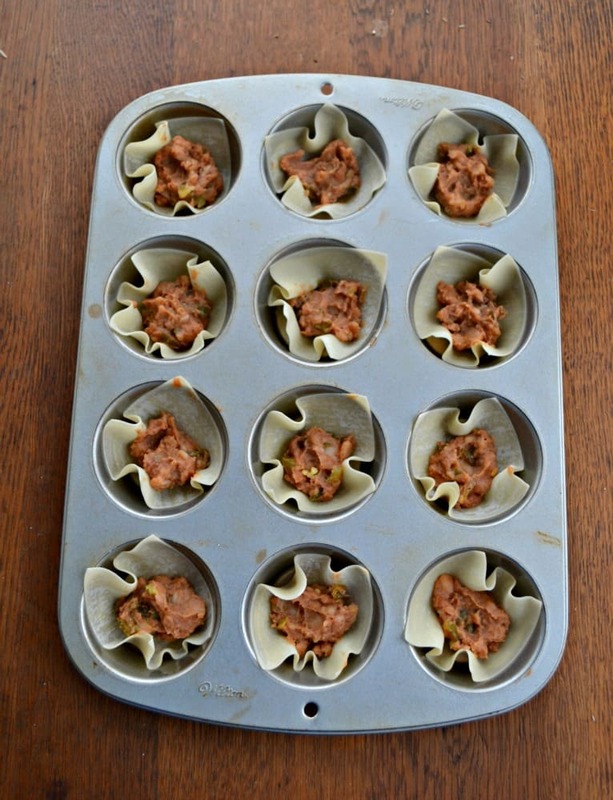 I layered them in wonton wrappers placed in muffin tins and then baked them in the oven. They came out better then I thought! The wontons were crispy and stayed in the shape of the cups. 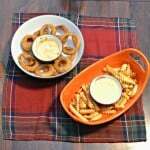 This created a portable and edible “dish” for the dip. 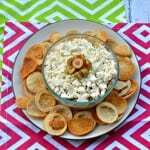 Inside the spicy bean dip and delicious chili cheese dip mixed together in game day bliss. This is a great idea for football parties because it’s less messy then dips but has all the great flavors. 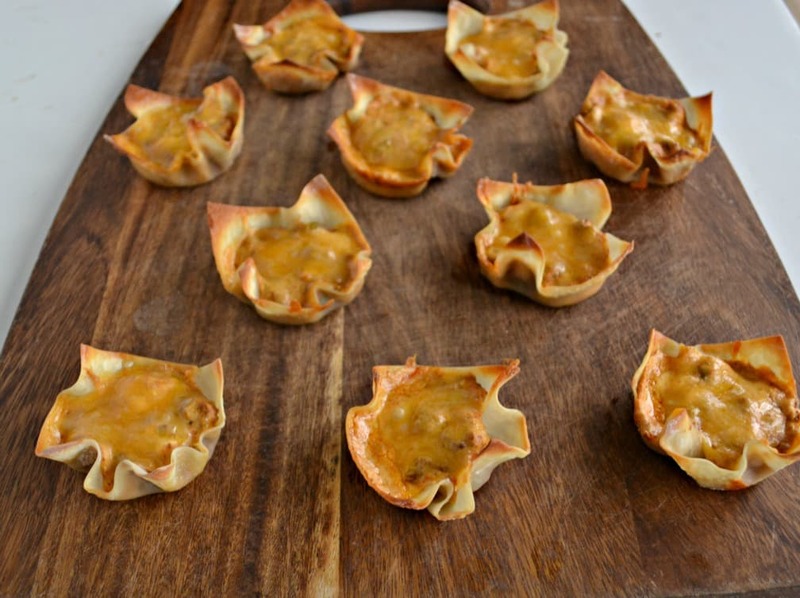 A delicious and easy layered bean dip and chili cheese dip baked in wonton cups for a portable game day snack! In a medium bowl combine the refried beans, cumin, jalapenos, and garlic powder. Mix well until combined. In another medium bowl combine the Hormel Chili without beans and cream cheese. Mix until smooth. Lightly spray 2 muffin tins with cooking spray. Place a wonton wrapper in each cup. Place 1-2 teaspoons of the bean dip in the bottom of each wonton. Carefully place 1-2 teaspoons of the chili cheese dip on top of the bean dip. 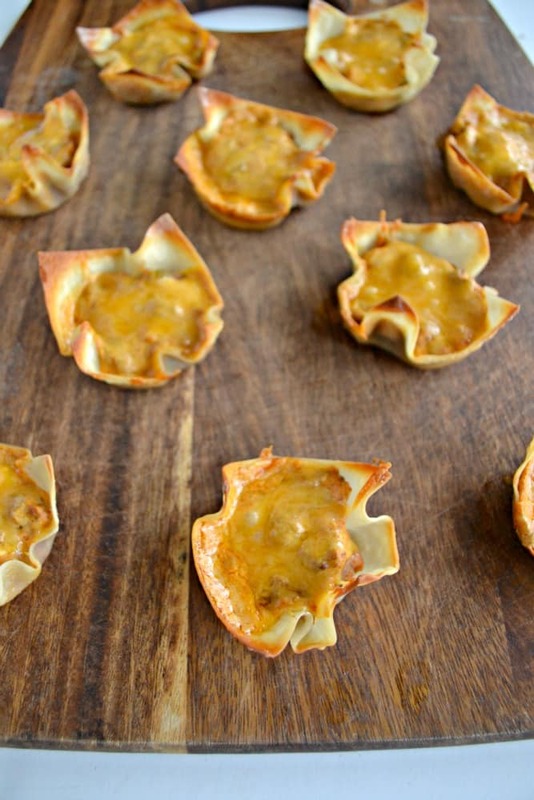 Sprinkle the wonton cups with cheddar cheese. Bake for 12-15 minutes or until the wontons are brown and crispy. 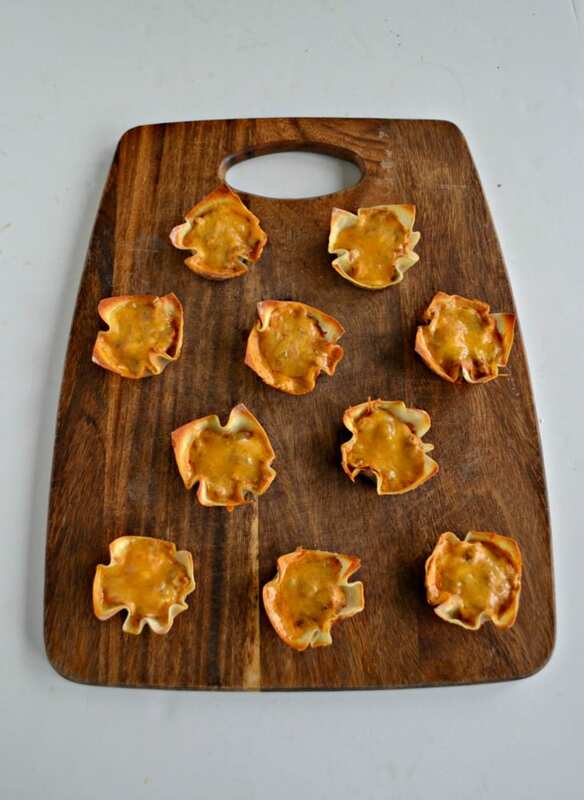 Remove from oven and transfer the wontons to a cutting board or plate. Repeat with remaining wonton wrappers. Enjoy while they are hot. 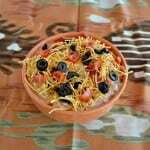 Want to give this recipe a try? Make sure to print out THIS COUPON for $1.00 two Hormel® Chili products! Great for entertaining unexpected guests. Totally! I love how simple it is to make!